Summary: Recently, things like PTSD (post-traumatic stress disorder) are being recognized as real and disabling conditions that may be under the scope of workers’ compensation. Workers’ compensation insurance is not only mandatory in Missouri - it is meant not just to protect employees but employers as well. To ensure that an employer has the means to cover an employee’s injuries if they are hurt while on the job, there are things that are covered under workers’ compensation and things that are excluded. Typically, you are not eligible to be compensated for non-economic damages, which includes emotional distress, but there are times when emotional injuries may be eligible for coverage. Non-economic damages are typically only recoverable through filing a personal injury suit, but if you are emotionally damaged to the point of it being debilitating, then you might be able to receive coverage through workers’ compensation eligibility. Recently, things like PTSD (post-traumatic stress disorder) are being recognized as real and disabling conditions that are under the scope of workers’ compensation. Usually, the only way to have an emotional injury recognized is to have a diagnosis and to prove that what you are experiencing will limit your capacity to work in the same manner that you did before you were hurt. In the past, emotional distress fell under the umbrella of noneconomic damages and was not considered something that was coverable through workers’ compensation. Things are beginning to change in workers’ compensation, though. Courts are just starting to realize the extreme emotional distress that first responders endure and the fact that law enforcement officers can be subjected to highly stressful and life-altering situations and conditions. What they encounter would make the average person’s emotional state suffer greatly, and it can take a toll on their work performance in the future. Therefore, workers who have been under those extreme conditions that change their emotional reality forever have challenged the workers’ compensation system and pushed the boundaries of what workers' compensation has covered in the past. 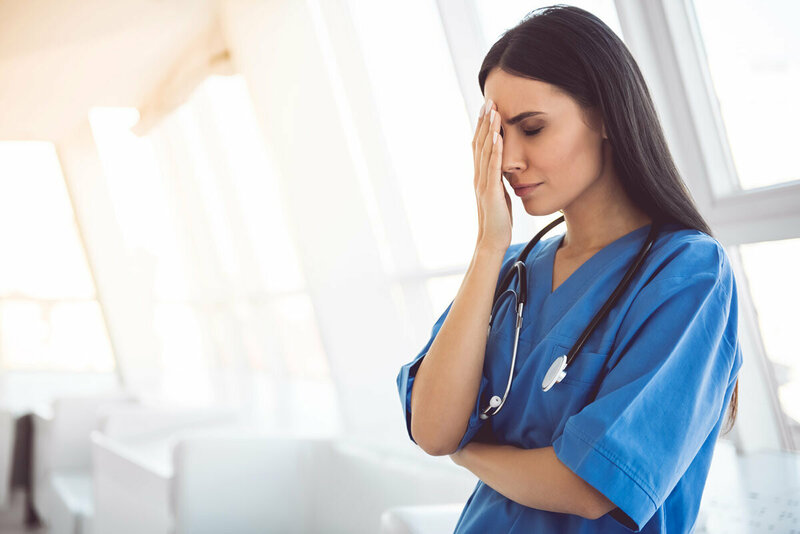 If you are in an industry where your work-related injury has been stressful enough to alter your ability to function in a normal capacity, then although it would typically be considered noneconomic damage, emotional distress might fall under economic damage. To receive compensation through workers' compensation, you generally have to prove that medical treatment is not only necessary but is imperative for you to return to work in the capacity that you were capable of before you were injured or exposed to the extreme traumatic stress that you experienced. As more is being discovered about the true debilitation of emotional distress and the way that it can alter someone’s life and their ability to function in the future, workers’ compensation rules are being updated and changed accordingly. If you are in a work-related accident where the events change your mental capacity going forward, and are the victim of PTSD or other stress-related conditions that limit your ability to perform at work, speak with an experienced St. Louis workers’ compensation attorney as soon as possible to ensure your right to compensation is protected. If you were injured at work, it is important to speak to a workers compensation lawyer about your legal rights and options. Please contact me, attorney James M. Hoffmann, for a free consultation about your case. I can help you get the workers compensation benefits you deserve. There are no upfront fees and I only get paid if you recover. I can analyze your case to determine if you can also file a personal injury claim.